When you’re staying somewhere for a few day it’s helpful to know where to find the nearest reliable latte, a quick, tasty lunch or some essentials to make your stay really special. The little township of Hepburn Springs maybe small, but it has absolutely everything you could want for a few luxury days away. 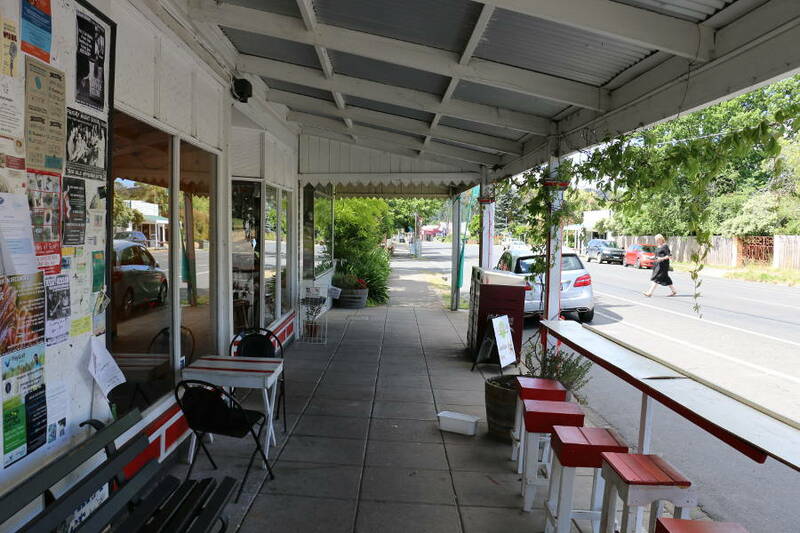 While Daylesford is the closest town to Hepburn Springs with a supermarket, The Hepburn General Store, in the main street of Hepburn Springs, stocks all the essentials for your stay and is absolutely loaded with charm. This long fronted weatherboard with traditional red and white striped verandah and freshly painted white posts is an irresistible invitation to venture inside. You can pick up the basics – bread, milk and eggs for breakfast and a newspaper, but you’ll also find some pretty impressive gourmet treats to include for your luxury stay. You’ll find the best quality coffee, local free range eggs, rolled oats, dried fruit and nuts. There’s everything here to put together the most delicious, gourmet, energy giving, breakfast around. Sharing a glass overlooking the treetops in your Hepburn Springs luxury accommodation wouldn’t be right without a smooth brie or Victorian vintage cheddar. The Hepburn General Store stocks some of the best local Victorian cheeses, including Maffra Cheese and Puglia Italian Cheeses, plus delicious charcuterie from Piper Street Foods. Pick up an assortment of specialty tastes to create your own local platter to enjoy. If you’re one of the many visitors who like to stay in luxury accommodation and enjoy cooking for yourself, you’ll find plenty of inspiration and a choice of ingredients on the shelves. If you’ve already come prepared, but you need some last minute fresh or dried herbs or garlic, The Hepburn General Store is sure to have it. Plus, this reliable little shop is open 7 days a week. If you’re looking for something tasty and simple following your day spa treatment or to keep you satisfied until heading to dinner at an award winning restaurant, a short walk to the Hepburn General Store won’t disappoint. The food is simple, but tasty and affordable, and Kate and her staff are known for their welcoming hospitality for visitors and locals. There’s a choice of turkish toasted sandwiches, wraps or a BLT. Enjoy your bite to eat and a great coffee outside under the long verandah. Find out about local music and events and get the local vibe on the noticeboard. We’re not the only only ones who recommend stopping by the Hepburn General Store. Reviews from visitors consistently rate it highly, not only for the great food and coffee, but for the friendly service as well. You can see many of the reviews on Tripadvisor. 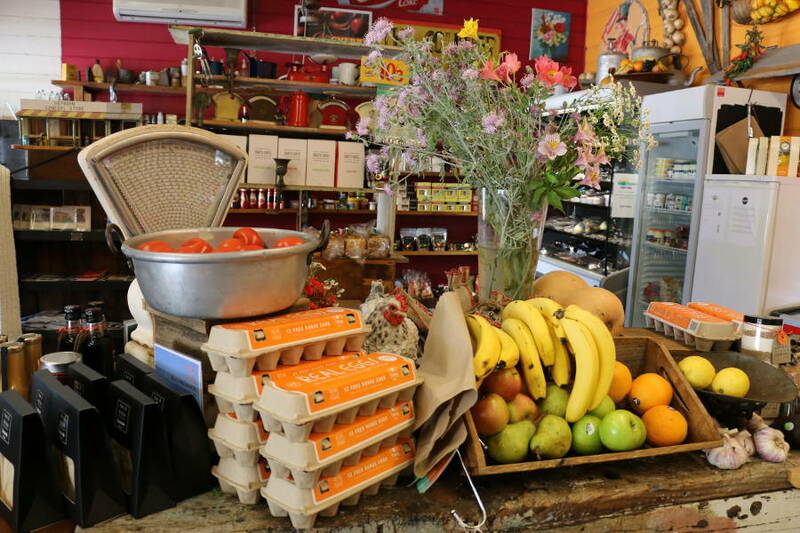 In such a small town, The Hepburn General Store provides all the essentials, wrapped up with local, friendly smiles. It’s what they call old fashioned service. 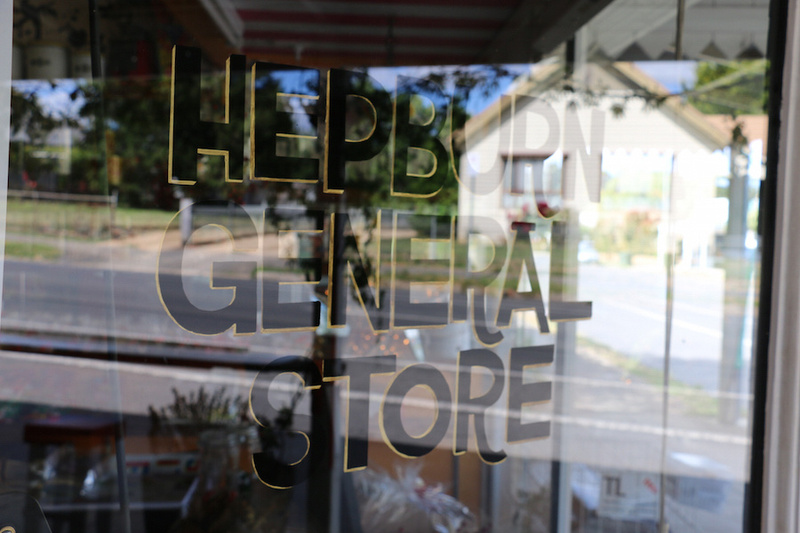 In the case of The Hepburn General Store, it does still exist. If you want more information and reviews about places to visit and things to do in Hepburn Springs and Daylesford, see our other reviews. For Hepburn Springs luxury accommodation in the centre of Hepburn Springs, with huge luxury spas overlooking the Hepburn Mineral Springs Reserve, why not book the award winning Saffron or Horizon. For a larger family or group, Kookaburra Ridge offers a luxury, antique filled home surrounded by two acres of Italian gardens and a magnificent rustic-style kitchen.